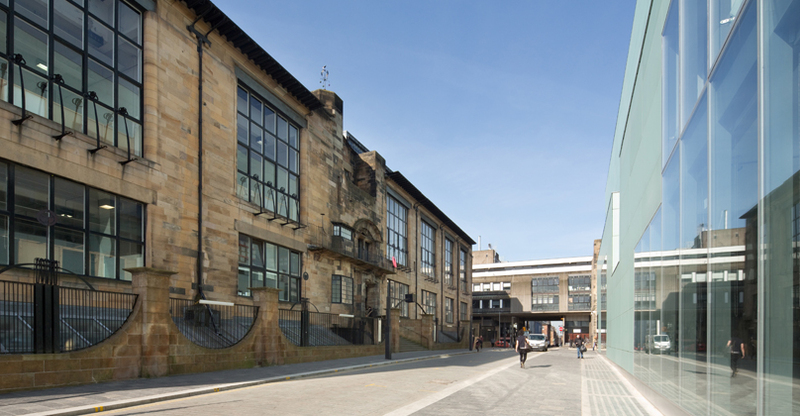 The Glasgow School of Art is one of Europe's leading higher education institutions for the education and research in the visual creative disciplines. Prospective students can find out more about undergraduate and graduate study by joining one of GSA's OPEN programme of events, or by visiting the Study section of the website for programme details and specifications. Summer hostel accommodation at GSA’s Blythswood House is available for visitors to Glasgow from June – September. GSA Archives and Collections’ digital catalogue can be accessed online, with a selection of holdings situated at the Whisky Bond, available to view by appointment. For upcoming events, lectures and degree shows at The Glasgow School of Art, view the events calendar. Following a major fire in the Mackintosh Building on the 15 June 2018, The Glasgow School of Art visitor centre and exhibition spaces in the neighbouring Reid building are closed to visitors.